Want to maintain creative control over their style and fabric selection. If you’re getting your dress custom-made, allow at least six months in advance of your wedding for this. Also remember that you will need to factor in extra time for fittings and adjustments. Custom-made gowns are not always cheaper than their “off the rack” counterparts. This is often because of fabric costs and labour cost incurred by the seamstress/designer to sew the gown to your specifications, versus a mass-produced gown. Once you decide to have your attire custom-made, it’s important to distinguish between a seamstress and a designer. Designers, of course, design and fabricate a gown especially for you. Seamstresses will usually sew exactly what you ask them to do, although some do designing as well. Be aware that seamstresses that work exclusively by store-bought patterns may not know how to alter gowns to give you the style elements that you may want – e.g. a bustle skirt or unusual back. Meet with your designer but do have in mind the direction you want for the style of your gown for example, do you want your gown to be dramatic? Full? Fitted and body conscious? Feature a skirt with lot of movement? Or should it be feminine or on the other end of the spectrum – more structured? After having discussions with you about your preferences and examining your body type; the designer will usually present sketches and inspirational photos. He/She should also have fabric samples for you to choose from. After this, you can choose the silhouette, embellishments and decide on the type(s) of fabric that you like incorporated. Then, via collaboration, you and the designer will determine a final choice. 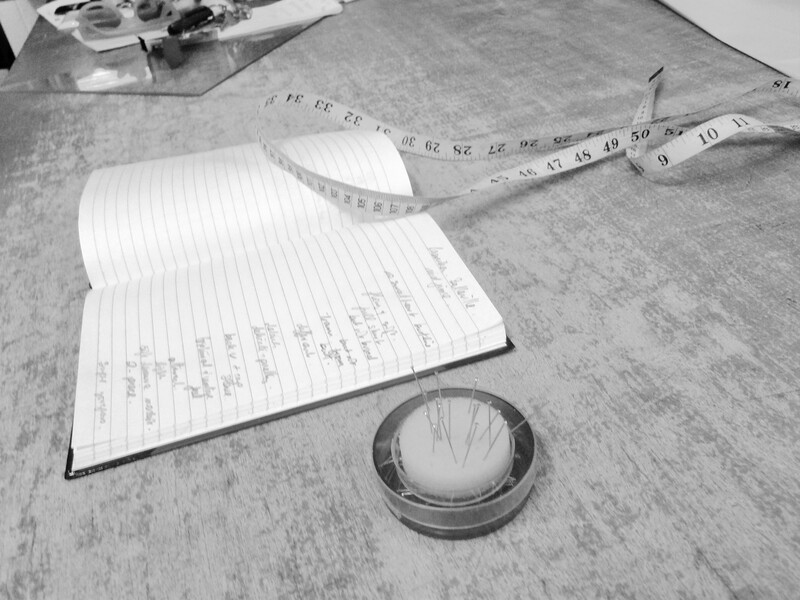 Measurements of the bride-to-be are then taken by the designer, over the actual undergarments that will be worn on the day. Most designers will do a “muslin fitting,” to ensure proper fit. Muslin is a cotton woven fabric from which the designer makes a shell that moulds to the body of the bride. This shell enables the designer to easily drape onto it or create desired elements from the final garment. The designer then takes the muslin pattern and crafts it into the bride’s chosen fabric. Adjustments are done at this point since the muslin does not have the same characteristics as the final fabric (for example, silk, organza, satin etc.). Additional fittings to ensure a perfect fit may also be required, depending on the complexity of the gown.